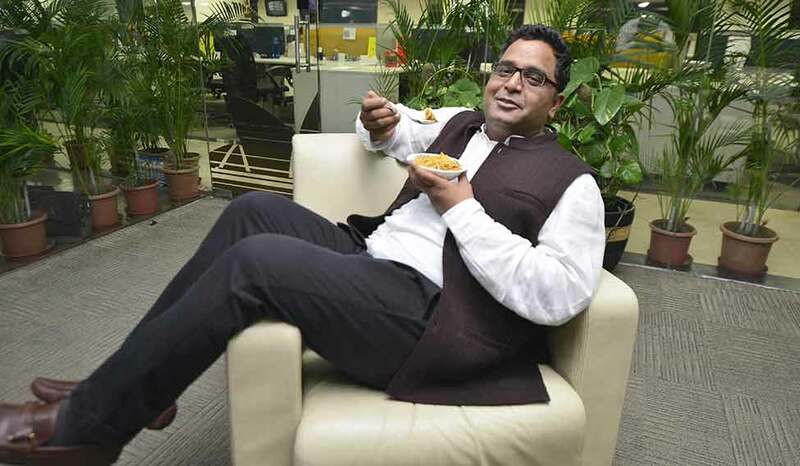 Paytm CEO Vijay Shekhar Sharma is going through a rite of passage that’s familiar to mega successful startup founders — buying a grand home. Sharma is reportedly buying a sprawling 6000 square foot home in Delhi’s Lutyens zone. He’s already paid a substantial advance and signed an MOU for its purchase. The home is located within Golf Links, one of the most exclusive addresses in the country. It will cost Sharma a cool Rs. 82 crore. Sharma can well afford to splurge on some property after Paytm’s success in recent years. Sharma earns a salary of Rs. 3.1 crore per year, but through his 19% holding of Paytm stock, is worth nearly Rs. 10,000 crore, making him India’s youngest dollar billionaire. And Sharma’s latest purchase is a sure sign of someone who’s made it — Lutyens Delhi is home to bureaucrats, media persons, and top businessmen. — DLF’s KP Singh, Airtel’s Sunil Mittal, CK Birla, and Ranbaxy’s Malvinder and Shivinder Singh all live in the area. Sharma’s new Golf Links home is located at the heart of Delhi, close to India Gate and the Supreme Court. Golf Links is a gated residential colony, and has the Delhi Golf Course to its east and the Lodi Estate to its west. It has 212 independent houses. The smaller houses and floors are around green crescents distributed along the tree lined central avenue, while the larger houses are distributed on the outer periphery. There are no shops or commercial activity in the neighbourhood. Sharma isn’t the only prominent startup founder to have splurged on a home after they made it big — last year, Flipkart cofounder Binny Bansal had purchased a Rs. 32 crore house in Koramangla, one of the most expensive locations in Bangalore. Sharma’s Lutyens Delhi purchase too might be a sign of the coming of age of Paytm. Lutyens Delhi isn’t usually home to startup founders, — it’s home to bureaucrats, old-money entrepreneurs, and established businesspeople. Paytm too is hardly a startup any more — with its Payments Bank and its multibillion-dollar valuation, it’s is fast becoming a serious established company. And Sharma’s new address with reflect his growing clout in India’s business circles. For someone who grew up in a house in Aligarh with no colour TV, it’s been quite the journey.